WPT Caribbean champion Niall Farrell is still in the running for the CAD$1m first prize at the record-breaking partypoker Million North America Main Event. Farrell is short-stacked but still alive on 69,200,000. (June 22-26), a return visit to Sochi for partypoker Millions Russia (Sept 1-11) and the eagerly-awaited Caribbean Poker Party in November with a total $5,000,000 guaranteed prize pool. American poker pro Ari Engel is the current chip leader for today’s final. 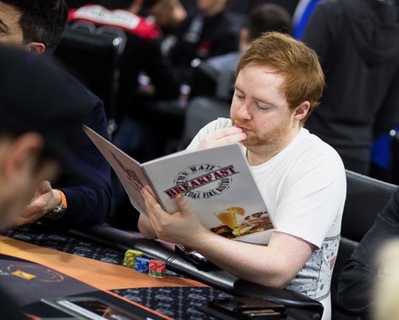 He has 252,500,000 – more than 22% of the chips in play - but faces fierce competition from the likes of Farrell, Canada’s Philippe D'Auteuil, PCA High Roller finalist Jean-Pascal Savard and American WSOP bracelet winner Matt Waxman. The event attracted a total of 1,168 entries to the Playground Poker Club in Montreal, making it the biggest poker tournament ever held in Canada and generating a CA$5,709,750 prize pool, easily beating the CA$5m guarantee. 2008 WSOP finalist Scott Montgomery was the Day 4 chip leader but bust in 13th place for CA$45,000. Today’s live stream of the final starts at 12:30 local time on Twitch.